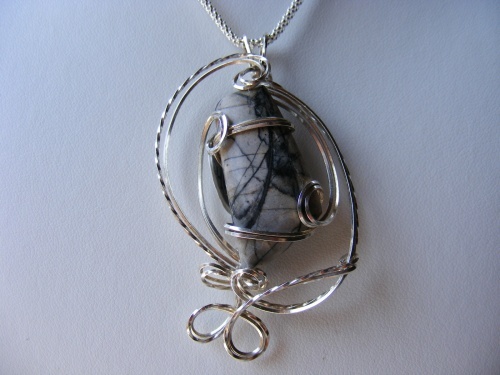 One of my favorite stones, this elegant piece has veins of greys and blacks running through a tan and brown background. Unique stone and a great asset to any wardrobe. Piece measures 2 1/4" in length and comes with a popcorn chain.